ISBN 1598061992. Transcribed by Martha Rearick. 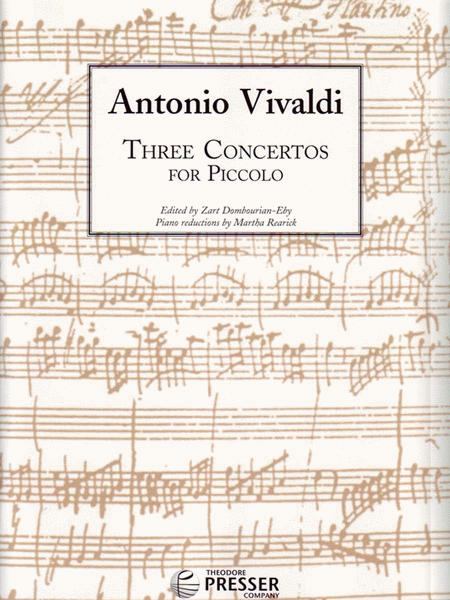 The three Vivaldi piccolo concerti have been an integral part of the instrument's repertoire for centuries. Dombourian-Eby's editing style provides the scores with a modern approach of Baroque performance practices. 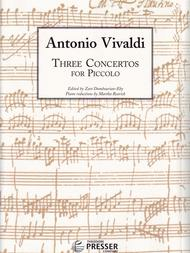 The three concerti are available in one book at a price which is less than any two purchased separately! Piano transcriptions of the orchestral accompaniment are by Martha Rearick, who has done wonderful work under our Orchestral Excerpts series. This edition is dedicated in her memory.